Health First Network - Your first line of defense against colds! Humankind has been troubled throughout history by the viral infection known as the common cold, but rarely has it and viruses like the flu received as much attention as they do today. 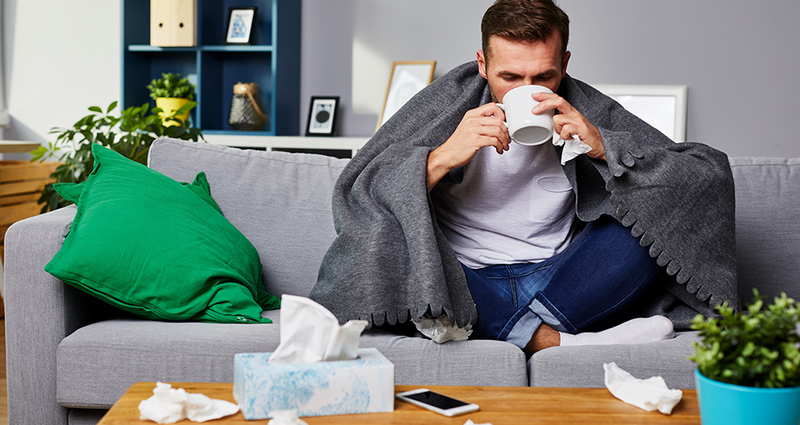 On average, Canadian adults contract between 2 – 5 colds each year, with an 85% chance of experiencing at least one within that period.1 With colds lasting an average of five days, the results are extreme discomfort and unwanted downtime from work and school. Cold and flu-like symptoms, caused by our immune system’s reaction to the viral infection can manifest in the form of sneezing, coughing, itchy eyes, runny noses, sore throats, headaches, aching muscles, fatigue and headaches. What can one do to reduce these troubling symptoms, or preferably, prevent them from occurring in the first place? Traditional Chinese medical doctors have long been using combinations of powerful herbs for the relief and prevention of viral infections and modern science is now supporting these beliefs. What is traditional Chinese Medicine and how can it help? The practice of Traditional Chinese medicine (TCM) has evolved over the last 4,000 years. In TCM, health is viewed as a complete state of well-being. Health is maintained as long as there is an abundant supply of free flowing life energy, or “Qi” (pronounced “chee”). It is an unseen energy that supports our body’s ability to function properly. It provides nourishment for every cell, tissue, muscle, organ and gland. Our body uses Qi to accomplish everyday activities. Each organ and meridian pathway needs to be fed and filled with an ample supply of Qi in order to function optimally. One of the physiological functions of Qi is to defend our body from the invasion of toxins such as virus or bacteria. When we exhibit signs and symptoms, we’re already “sick.” When this occurs, it is vital to do something to enhance your Qi right away, before the virus knocks you down. When external pathogenic factors, like a cold virus or bacteria, invade the body, they first attack its superficial, exterior aspects. Symptoms associated with the exterior then appear: sore throat, chills, fevers, headaches, stiff neck, and overall muscle aches. A proper blend of TCM herbs can address each symptom individually and systematically. How can Chinese herbs help fight cold symptoms? The Chinese herb Fang Feng release the toxins trapped in the exterior and alleviate pain. This action consumes a considerable amount of Qi in the body. The user will notice a reduction in neck stiffness and overall muscle aches. Fang Feng, however, requires sufficient Qi for back up. Astralagus (Huang qi) is used to strengthen Qi and to boost the immune system. Andrographis (Chuan xin lian) clears heat and drains dampness from the contaminated Qi. From a modern biomedical perspective, it has anti-microbial, anti-pyretic, anti-inflammatory and anti-viral effects. An introduction of a virus into our system can contribute to a damp pathogenic influence which causes Qi stagnation in the stomach, especially if there is a pre-existing digestive condition. This weakens the immunity and leaves the body more vulnerable to infection. The aromatic Huo Xiang dispels the ‘dampness’ and produces a significant inhibitory effect in vitro on many pathogenic fungi and leptospirosis. North American Ginseng benefits Qi, generates fluids for ‘Yin’ deficiency with heat signs, such as irritability and thirst. Viruses and bacteria multiply rapidly in our body when we get sick with cold and flu. Do not wait. Immediate relief of cold symptoms is possible if treatment is applied in the earliest stages. Do not force yourself to eat if you are not hungry. Save the energy required for digesting and preserve your energy for immunity. Drink lots of water to keep the body’s mucous moist. Wash your hands frequently to prevent virus contraction. See your health care practitioner if cold symptoms persist. 1. Canadian Centre for Occupational Health and Safety.